100% Export Oriented Unit of a wide range of products which include fabulous blue sapphire solar quartz beads strand, multi oyster copper turquoise heart shape beads strand, cubic zirconia cz white faceted beads, cubic zirconia cz orange faceted beads, 100 % natural neon apatite beads and aaa quality black spinel beads. 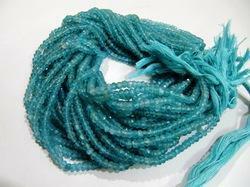 Fabulous Blue Sapphire Solar Quartz Beads Size 20-25mm Dark Blue Color Fancy Shape Strand Length 8-9 Inches Long Jewelry Making Beads. 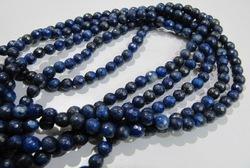 These Are Natural Sapphire Colour Beads. We have gained expertise in offering a beautifully designed collection of Cubic Zirconia CZ White Faceted Beads. Owing to their traditional designs, these Cubic Zirconia Beads are widely demanded by the customers. 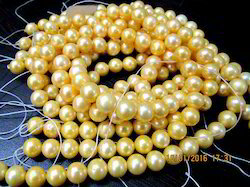 The high-grade raw material is used by our designers to design these Beads in compliance with the highest quality norms and standards. 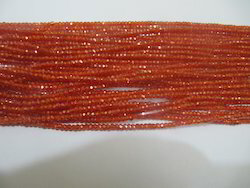 We have gained expertise in offering a beautifully designed collection of Cubic Zirconia CZ Orange Faceted Beads. 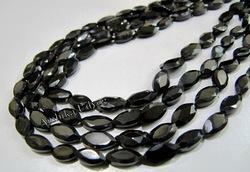 Owing to their traditional designs, these Cubic Zirconia Beads are widely demanded by the customers. The high-grade raw material is used by our designers to design these Beads in compliance with the highest quality norms and standards. 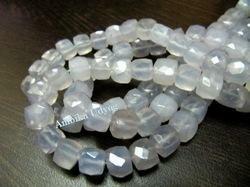 100% Natural Genuine Neon Apatite Beads with Machine/Israel Cut. There is no dye or any kind of treatment . 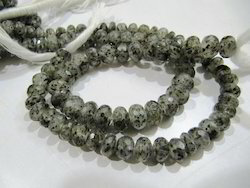 It is 100% Genuine and Natural Grey Opal Beads. 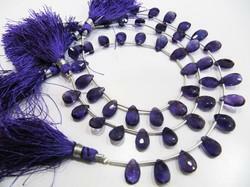 These are 100 percent natural Genuine Amethyst Semi Precious beads. Each and every bead same size and shape. 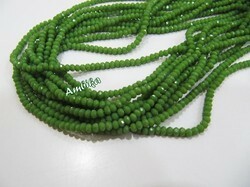 These are best quality Beads . Top Color and Finish. 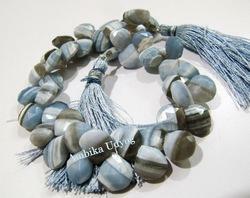 These are very high quality and Rare gemstone Beads. 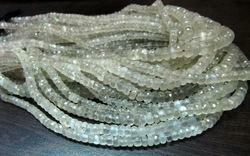 100 percent Natural Opal Beads. 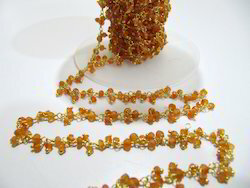 This is amazing Beaded Chain in wire. 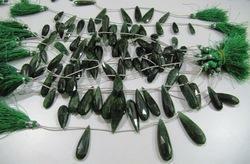 Each stone measures approximately 3mm Great chain to add that special touch to your beautiful designs. 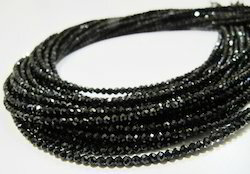 Note: This chain comes in a continuous length whatever quantity you order and it’s connected together in one large full circle. In order to use pieces of it, simply cut the loops apart with wire cutters into the desired lengths. Each time you cut a loop you will lose a link. 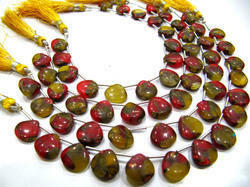 Remove the excess wire and keep the extra beads for another project. 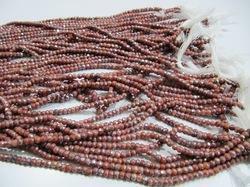 Approx 8 to 9 beads per strand. 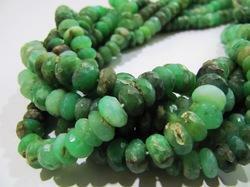 100% Natural and Genuine Chrysoprase Beads .Faceted Beads Strands . No Dye and no artificial color . 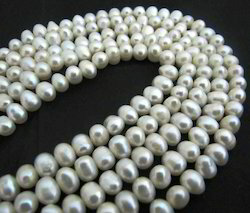 This Listing is meant for Fresh Water Pearl Bead String. 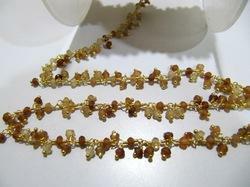 Approx 8 beads per strand. 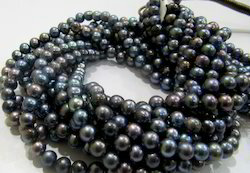 AAA Quality Natural Pearl beads Black Color 4mm approximately, Genuine Pearl beads Round Shape Exotic Color , Strand 15 -16 inches apprx. 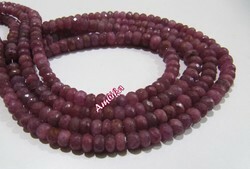 These are 100 percent Genuine Natural Tourmaline beads Petrol color. Very good Quality , Best value for money. 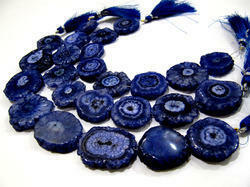 100% Natural Lapis Lazuli beads There is no Dye or any other treatments. You can see the picture it confirms the originality. 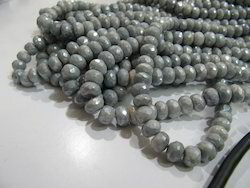 Beautiful Mystic Coated Natural Grey Silverite Beads / Rondelle Faceted 7-8 mm Size Silverite Beads / 8 inch long Strand / Wholesale Price. 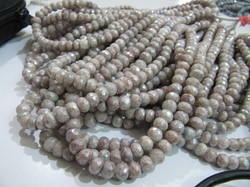 These are 100 percent Genuine Silverite Quartz beads coated with Peach color. Very good Quality , Best value for money. 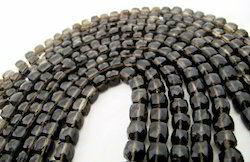 This Listing is meant for AAA Quality Smoky Faceted Bead String. 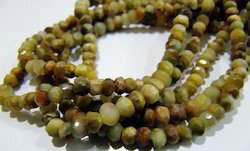 This Listing is meant for Natural Smoky Beads String. 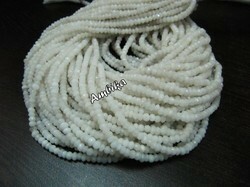 aaa quality natural white agate rondelle faceted beads , 3-4 mm size , strand 13 inch long , semi precious gemstone beads. 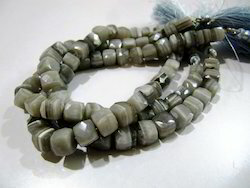 these are 100 percent natural genuine white agate semi precious beads. 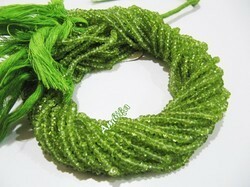 AA- Quality Natural Peridot Rondelle Faceted 3-4mm Beads, Natural Gemstone Strands 14 inches Long, Semi Precious Stone Beads. AAA Quality Natural Pink Sapphire Beads 4 to 7mm Graduated Rondelle Faceted Bead, Precious Gemstone Beads Strands 8 inches Long. If you need more Sizes and Shapes and stones which are not listed please let us know, we will make special listing for you. If you have any questions, please contact Message service or e-mail. 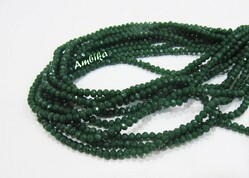 AAA Quality Hydro Quartz Dark Green Chalcedony Beads /3-4mm Size Rondelle Faceted Beads / 150 Beads approx per Strand / Hydro Quartz Green Beads. 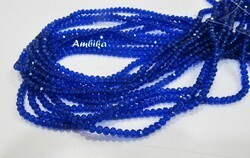 AAA Quality Hydro Quartz Lapis Lazuli Micro Faceted Beads / Size 3-4mm / Rondelle Faceted Gemstone Beads approx.150 Beads per Strand . 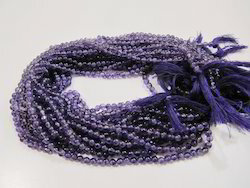 AAA Quality Natural African Amethyst Briolette Pear Shape Beads / Genuine Amethyst Flat drop Shape 6x9 to 7x12 mm Beads / Strand 8 inch long. 100% Natural beads There is no Dye or any other treatments. You can see the picture it confirms the originality. 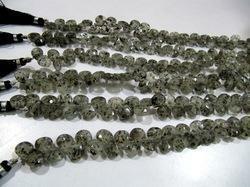 AAA-Quality mystic Green Onyx Hydro Quartz Rondelle Faceted Beads / 3-4mmSize approx. 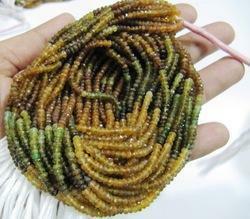 150 Beads per Strand. 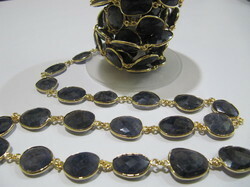 AAA Quality Natural Iolite Free Shape Faceted Briolette Connector Gemstone Connector Chain Size 15-20 mm , Sold Per Foot Chain. 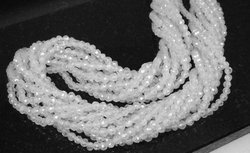 SALE- AAA Quality Natural Pearl Coin Chain / Smooth Fresh Water Pearl Beads 3-4 mm / Sold Per Foot / Rosary Gemstone Chain / Beaded Coin Chain. 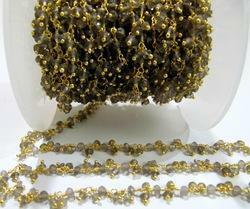 This is amazing Beaded Chain in Sterling Silver or Brass wire as per the choice . 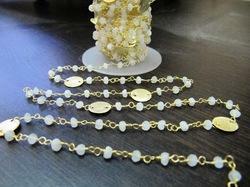 Each stone measures approximately 3-4 mm Great chain to add that special touch to your beautiful designs.